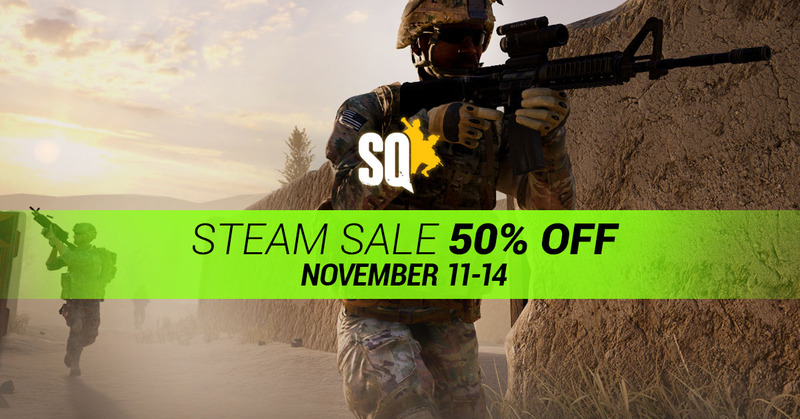 Steam Free Weekend & Sale : Squad – Communicate. Coordinate. Conquer. In addition to our Free Weekend, Squad will also be on sale for its lowest price to date! We hope our friends and fans can see this as a great opportunity to bring some of their more risk averse friends into the Squad family and we as developers are treating this as an opportunity to get out there in the wilds and experience the game through fresh sets of eyes. We will be out in the community, on the servers and in the stream chat, getting to know you guys, listening and having a good amount of fun as well. 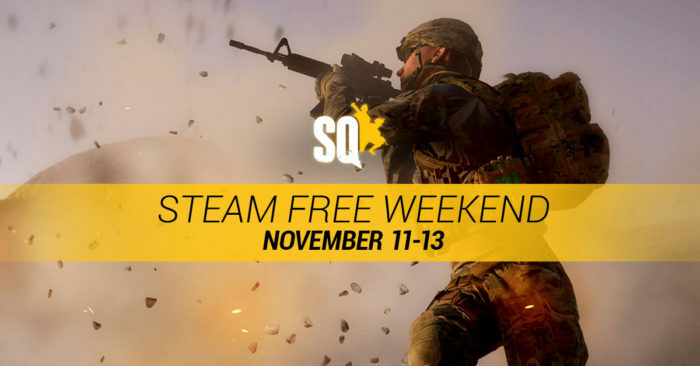 From Thursday November 10th at 10AM PST (6pm GMT) to Sunday November 13th at 1PM PST (9pm GMT), Squad will be free to play on Steam and we promise there will be a stack of surprises on the horizon. If you look closely and pay attention, you might just spot a few things already hiding in plain sight. We’re prepared for the influx of brand new players with our partners Bluefang, Multiplay, Fragnet, and Pingperfect, who will have more than enough servers ready. Now you need to prepare too – this weekend is going to be one of the craziest for the Squad community. Please join us in welcoming the new players and helping people through their first grunt level deployment to the Squad battlefield. For the community, this weekend will mean continued growth and vitality of the player base and an injection of new faces and ideas. In conjunction with our free weekend, Squad will also be on sale! From Thursday November 10th at 10AM PST (5pm GMT) to Monday November 14th at 10 AM PST (5pm GMT), Squad will be 50% off on Steam. If youve been waiting to buy the game or trying to persuade friends to get it, there will be no better chance than now. It’s going to be quite a busy weekend!